USGBC’s Greenbuild International Conference & Expo is the world’s largest conference and expo dedicated to green building. 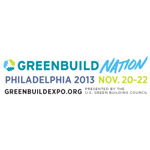 Philadelphia has been selected as the host city for the 2013 Greenbuild conference, on the 20th anniversary of USGBC. This year, Greenbuild is expected to draw over 30,000 attendees: industry leaders, experts, and frontline professionals dedicated to sustainable building in their everyday work. ZSX Medical, a privately-held medical device development company focused on developing products to help surgeons do their job well, relocated from King of Prussia to The Navy Yard in Quarters M-2. ZSX Medical believes that making surgeons’ work easier will help patients, save hospitals money, and reduce overall healthcare costs. The Navy Yard Welcomes: Graboyes Commercial Window Co.
Graboyes Commercial Window Co., a commercial window installer with deep roots in custom window and door replacement throughout the Philadelphia region, has relocated its corporate headquarters from 7th & Callowhill Streets to The Navy Yard in June 2013.
https://www.navyyard.org/theyardblog/wp-content/uploads/2013/07/Graboyes-logo-150.jpg 150 150 The Navy Yard https://www.navyyard.org/theyardblog/wp-content/uploads/2019/02/Navy-Yard-Logo.jpg The Navy Yard2013-07-23 11:07:362013-07-23 11:29:47The Navy Yard Welcomes: Graboyes Commercial Window Co.
Edited on July 22, 2013 to reflect updated schedule. The Navy Yard’s Lunch Truck Lineup (#TNYLTL), a weekly event on the Marine Parade Grounds, has been called a “hot venue” and a “food truck hub” by food critics and bloggers. As of July 1, The Navy Yard has expanded the popular food truck program with Food Truck Days @ The Navy Yard, which brings food trucks to the campus five days a week (rain or shine)!